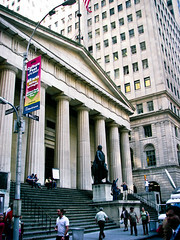 Wall Street Protesters: Are their Criticisms Justified? The protests against corporate greed on Wall Street has spread beyond the borders of the United States–Italian police had to break up an unruly mob that was throwing rocks into buildings. I wonder if the buildings they damaged were owned by the corporations they despise–or whether they were family owned small businesses who were harmed by the damage. Despite such bad behavior, I have some sympathy for the protesters. The banking industry almost singlehandedly destroyed the American economy. The repercussions could have damaged beyond repair European economies and led to a world economic collapse. When the regulatory shoe was pulled off the banks, their leaders did everything they could to get richer quickly by selling debt, dealing derivatives, and engaging in other risky behavior. The claim of some conservatives that the program that required banks to make home loans to the poor was responsible for the economic crisis is naive–bad loans were being made across all socioeconomic classes. Like most quick buck schemes, the bankers were bound to fail. Their greed devastated real people and their “punishment” was a reward–a multi-billion dollar bail out that would not have been given to most companies if they were in similar danger of going under. The banks were infamously thought “too big to fail.” Executives who failed were rewarded by the banks with huge bonuses. I can understand how the public can be angry when much of the recent federal debt is due to bailing out bankers. The problem I have with the protesters is that they confuse capitalism with corporatism. Capitalism can flourish in a world without large multinational corporations. Small, community-based businesses in the older American of country and small towns can compete with each other but be close enough to their communities to care for the people in them and be motivated by more than the profit motive. Local banks run by people with a stake in their communities have a better chance of being operated for motives other than mere profit. This is the world the Southern Agrarians–especially Andrew Lytle and Donald Davidson, wanted to return in a country dominated by huge corporations. Some of the protestors might have sympathy with the Agrarians–there have been moves by some on the left to approach the right–especially Ron Paul supporters–about setting up capitalism in a way that encourages the local community in a decentralized governmental system in which there is more personal freedom, a necessary prerequisite to people having room to operate small businesses. Generally, however, protestors support the same old tired socialist and Marxist systems that have failed in the past. By setting up in advance a false dichotomy with no third way, they end up supporting a system which has caused the deaths of millions of people and which has enslaved many more. Communism leads to hard-core oppression as government goes beyond its proper bounds of power and gains the hubris to think it can reverse man’s Fall. Corporitism leads to a softer tyranny by manipulation (through a compliant media and business community). Social pressure is used to force individuals into molds that fit the corporations’ thirst for profit. Corporate executives also lack knowledge, for the most part, of the branches of the company they are supposed to supervise–the efficient distribution of needed goods and services to local communities will be lacking. Communities desperate for jobs may sell their souls for a bowl of corporate porridge. Local resistance to large corporations often evaporates in the face of a threat from a corporation that it will not move a plant to the area unless it receives tax breaks and other economic incentives. Local communities need the jobs, and instead of encouraging small business investment, they go for a quick fix. Local banks fail, and branches of large corporate banks open in their place. This brings jobs and capital temporarily, but corporations have become increasingly disloyal to their initial commitments to the community and have closed U. S. plants in favor of outsourcing to Mexico, Central and South America. Banks have put speculation over fiscal responsibility. In an entity as large as a contemporary corporate, money is the name of the game, and people take a distant second-place unless strong corporate leadership changes the ethic of a corporation. But that is a difficult task in a large corporation; the larger the corporation, the more difficult a change in its fundamental moral practices becomes. The protestors are correct in much of their critique of corporatism, but are wrong in their Marxist solution to the problem. It would be better if they read the Southern Agrarians, especially Take My Stand, and authors such as D. H. Lawrence and J. R. R. Tolkien. These works offer a tertium quid that can shortchange the greed of the moneychangers. Many Americans (not all, thank God) are spoiled. They don’t mind selling their children and grandchildren to a world of financial ruin as long as they are comfortable. They desire benefits from government without understanding the cost. So the nation is in debt to a degree that would have been unimaginable even under the free-spending George W. Bush administration. How did the country get into this mess? How did the traditionally hard working American people turn into a group of soft, spoiled brats who believe the government is there to give them things? The problem started with the Great Depression. 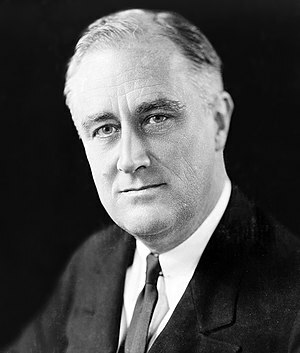 Instead of allowing the private sector to correct the economic downturn, as President Harding did in 1919, first President Hoover, and to a much greater degree President Franklin D. Roosevelt, tried to end the Depression with massive federal intervention. Despite the claim by liberals that the New Deal helped to end the Depression, unemployment was high up until the boom due to World War II. Artificially inflating wages led companies to lay off more workers, which led to less spending, which led to more of an economic downturn–it was a vicious cycle. The jobs programs, to give them credit, resulted in fine roads and beautiful buildings, but did little to lessen unemployment. But as permanent federal benefits were put in place (even though there were state benefits such as old age pensions so that older people were not left destitute), Americans increasingly saw the government’s function to give them things–at first jobs, later money, health care coverage, and other benefits. Even after Truman, Eisenhower, and Kennedy continued Roosevelt’s federal benefits, federal spending after World War II was generally under control. Eisenhower balanced the budget three times. But the largest expansion of the federal government in history took place with Lyndon Johnson’s “Great Society.” Medicare, Medicaid, federal housing programs, and huge expenditures on welfare only made worse the public attitude that the government was a “nanny state” whose function is to take care of people’s physical needs. Programs that would have done more good at the local level were in the hands of distant bureaucrats, and a permanent underclass dependent on welfare payments was created. But the government has also been guilty of corporate welfare. The unholy alliance between business and government began with the Whigs’ strong support of the new industries springing up with the Industrial Revolution and continued with the Republican Party’s alliance between the federal government, the railroads, and the banks. It was mainly the tension between the industrial North and its alliance of government and industry and the agricultural South that led to the War between the States (slavery, which was supported by the majority of the public in both the North and South, was not the primary issue over which the war was fought). Industrialism triumphed, and the unholy alliance led to numerous scandals beginning in the Grant administration. Today people vote for the presidential candidate and congressional candidates whom they believe will improve the economy. This is also a position that the government can give the people things–this time, a sound economy. Although some government regulation of business is required because people are not saints, the revolving door between big business and government officials only makes matters worse. Overall the economy tends to move in cycles that are only predictable in part due to their nature as dynamic, chaotic systems. The government can do a lot to help wreck the economy, but generally what it does best beyond essential regulation is to stay out of business. But people believe that one of the chief roles of government is to guarantee a good economy–and voters become prostitutes. It is just as bad for voters on the right to “vote their pocketbooks” as it is for voters on the left to vote due to their desire for more government benefits. But between the two, I prefer the right–at least they recognize that government does more harm than good to business. Americans need to realize that concentrations of power and money tend to corrupt and tend to bankrupt. There are only so many resource available for people to share, and the government cannot keep spending at the rate it does on benefits and job programs (and defense!) without the Chinese eventually calling the United States in on its debt. When that happens, God help us. Perhaps then families will realize that they must work for themselves and for the good of their local communities instead of receiving handouts from a nanny government. They may have no choice. The sad thing is that such a scenario may be a good thing–it may be the only way to restore virtue to those in the United States who have been spoiled by a sense of entitlement.